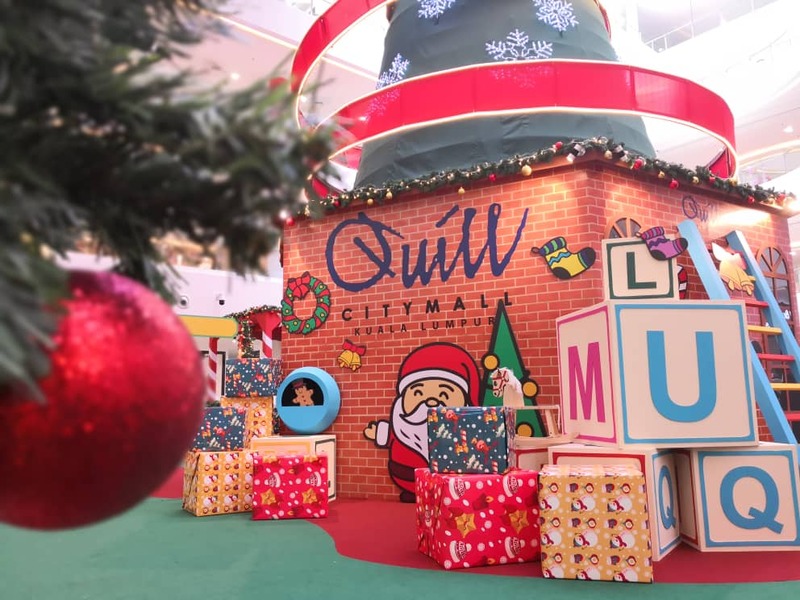 Quill City Mall Kuala Lumpur is honored to present Quill Christmas Times by integrating all things Christmas with its yearly Christmas celebration this year; from 22 November 2018 to 1 January 2019. This Christmas, Quill City Mall KL has transformed its Main Atrium into a Christmas Times theme that revolves around the 12 Christmas elements (Santa Claus, Christmas Tree, Christmas Wreath, Red Nose Reindeer, Christmas Present Box, Christmas Bells, Gingerbread Man, Snowman, Christmas Sleigh, Christmas Candy Cane, Christmas Stockings and Christmas Hat) as the main decoration inspiration to bring you a joyful festivity that fills the air with a heart set aglow in Quill City Mall KL. Standing tall and magnificent at the Main Atrium, shoppers and visitors entering the mall would not miss the eye-catching 50-feet high Christmas tree decorated with vibrant fairy lights and snowflakes. Shoppers will also experience a moment inside Quill’s Magical Infinity Room, gigantic 50-feet tall LED Christmas tree with Christmas inspired elements as decorations, Quill Christmas Treats, Times Travel Train and more. In addition, shoppers will get to experience momentous experience of photo opportunities surrounded by various Christmas decoration elements in the mall. Our Sanrio Times in Kuala Lumpur, the Largest and Most Exclusive Exhibition of Hello Kitty and Sanrio Characters in Southeast Asia are here this Christmas during Quill Christmas Times campaign; showcasing over 300 valued vintage items, recalling our collective memories over the years. The exhibition will be held at Hall 5, Level 5, Quill City Mall Kuala Lumpur from 24 November 2018 to 6 January 2019, 11am to 9pm daily! The 1,500 sqm large exhibition features 13 Sanrio-themed zones where visitors can view and take photos of the 100 out of 400 adorable Sanrio characters in a variety of colourful settings, offering a visual experience like never before. Tickets to Our Sanrio Times Kuala Lumpur Exhibition are priced at RM33 (Malaysian Resident), RM20 (Special Ticket for OKU & Senior Citizen) and RM60 (Non-Malaysian Ticket). Admission is required for child with height of 90cm or above. All ticket prices exclude RM2 processing fee. Terms & Conditions Apply. Interesting Christmas elements awaits you at the mall as various Christmas booths are set up in the mall whereby shoppers and visitors can indulge in delicious food, fun activities and get new Christmas clothing. You can expect to find booths such as Dunkin Donuts, Bean Art, Photobook Worldwide, Branded Warehouse, Hamleys, Borders, Miniso, Gintell and more together with our newly added tenants on board namely AEON MaxValu Prime, Ashley Furniture Homestore, Watsons, Refash and mini Kidzania. 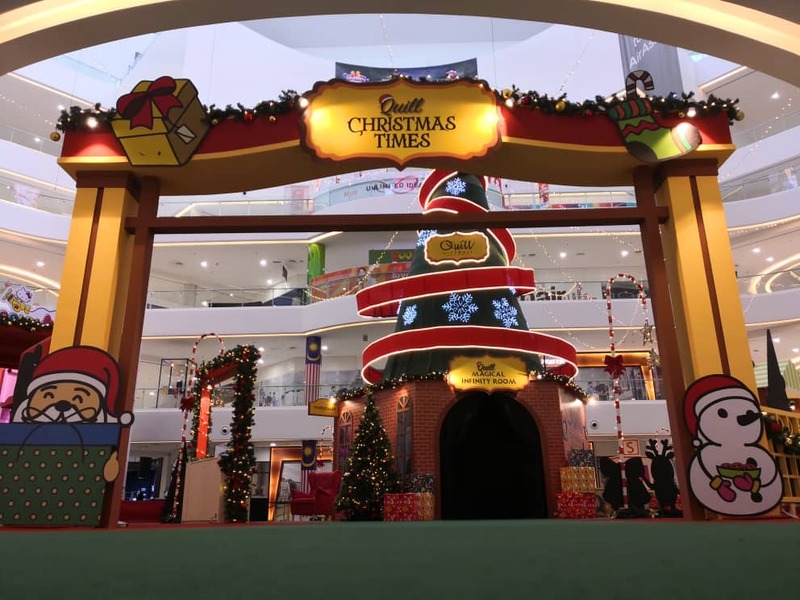 “During this Christmas and holiday season, the mall is giving a memorable Christmas Times experience to family and kids, focusing on momentous family time in the mall. Christmas is a very special season of the year, a time for giving, and a time to remember our loved ones. 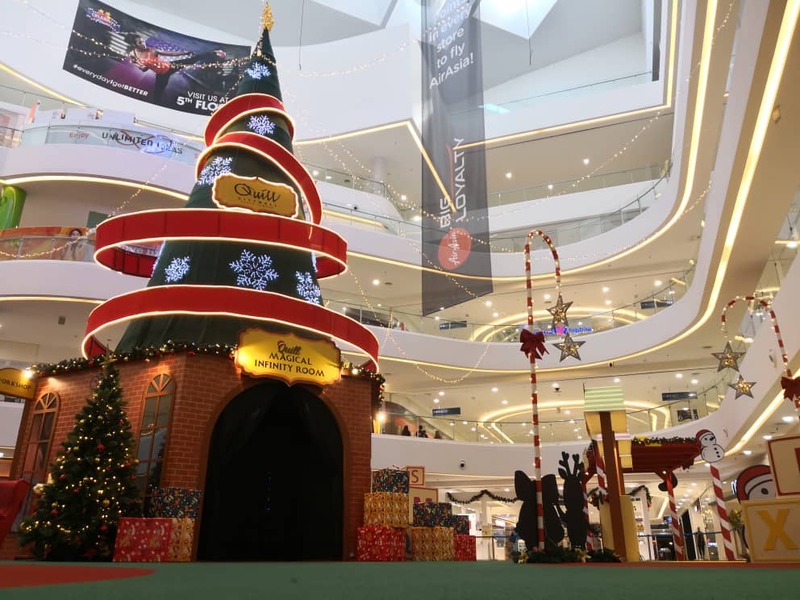 We welcome you to bring your families and friends over to our mall this Christmas as we have lined-up amazing activities and programs for all our visitors, not forgetting those who are underprivileged,” said Dato’ Ar. Michael Ong, Group Executive Director of Quill Group of Companies. On 15 December 2018, in line with the Christmas spirit of giving and sharing, the mall will spread good cheers to 80 children as part of its CSR (Corporate Social Responsibility) program. We are hoping the kids will enjoy themselves by engaging in fun activities and games organized in the mall. They will then be treated to a sumptuous meal at a restaurant in the mall. Shoppers and visitors are bound to capture many memorable and Instagram worthy photo opportunities with various Christmas decorations in the mall. The Quill Magical Infinity Room is one of the many photo opportunity decorations which is an immersive environment that fosters an out-of-body experience, heightens one's senses, and produces a repetitive illusion through the use of lights and mirrors. The room is covered with mirrors and dozens of LED lights hang from the ceiling. As the multitude of lights reflect, they accumulate and expand exponentially. In partnership with AirAsia BIG Loyalty, The Official Mall Loyalty Partner, shoppers can also participate in the Quill BIG Giveaway through a minimum spend of RM50 in a single receipt at any outlet in Quill City Mall KL for a chance to win a pair of return flights to for TWO (2) to Osaka, Bali or Pattaya. Contest period has begun from 22 November 2018 to 1 January 2019. Besides, shoppers get to redeem 3X BIG Points and an additional 50% upon spending at any outlet in Quill City Mall KL. Members can accumulate points in exchange for air tickets, starting from 500 BIG points. T&C apply. iii. spend RM120 and above to redeem a Mystery Gift. T&C apply. Valid while stocks last. Delightful activities and exciting performances awaits you every weekend in the mall such as 12 Days Round The World Xmas by Newman Drama, Community Drum Circle (CDC), Dancing in Christmas by Dancing Time Academy of Ballet & Music, Quill Christmas Caroling, Santa Claus Walkabout and more. In addition, various workshops and competition awaits you this Christmas namely My Christmas DIY Canvas Art by Metime Art, Dunkin Donuts Christmas Workshop, Quill Christmas Times Postcard Workshop and Christmas Talents Competition. Come and spend the weekend with an array of interesting competition, workshops and performances lined up for you this festive season. T&C apply. Top 5 winners with the most creative photo / selfie will be entitled to win RM300 Quill City Mall KL Cash Vouchers each. T&C apply. Also, little ones can come and experience rides on a mini Merry-Go-Round as well. As we move towards 2019, Ai technology (Artificial Intelligence), is now an in-thing that is currently trending in the market. Hence, we will also be moving towards that direction by understanding our shoppers better with QR codes placed in every corner of the mall. 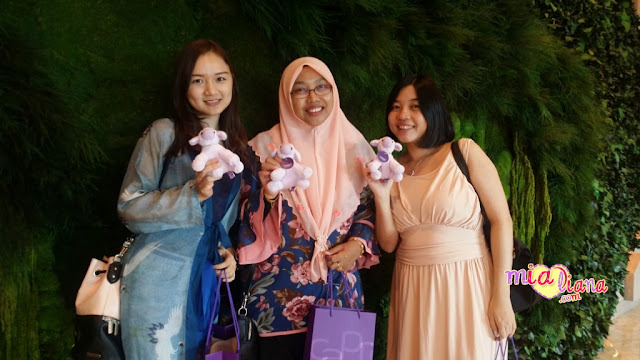 In addition, we have new partners to introduce to the family with an addition of Ashley Furniture Homestore, Borders, Miniso, MR. D.I.Y, Watsons, Refash and many more in the coming first quarter of 2019. Not to forget, AEON Maxvalu Prime, the first concept its kind which offers an extensive range of locally and globally sourced fresh products and quality items will soon be fully servicing our shoppers’ needs in early December. Last but not least, a heartfelt thanks to AirAsia BIG Loyalty - Official Mall Loyalty Partner, Aforadio.com - Official Online Radio Partner, Viral Cham, Juice, Rojaklah and Vocket – Official Online Social Media Partners, and official mall partners such as AEON, Boft, Borders, Dancing Time, DubuYo, Dunkin Donuts, Hamleys, Juice Works, Metime Art, Newman Drama, Pancake House, Photobook Worldwide, Red Lobster, Roast & Grill, The Manhattan Fish Market. This Christmas, Quill City Mall KL is delighted to provide you memorable Christmas Times experience and it is the best choice to gather with family and friends as shoppers can enjoy festive Christmas offerings from our valued tenants and Christmas vendors with various promotions ranging from food, fashion, entertainment and much more. Spend this Christmas with us in Quill City Mall KL. Free parking is available after 5pm onwards on weekdays whereas RM3 flat rate on weekends. Come and experience the most wonderful time of the year at Quill City Mall KL! Lama tak ke Quill Mall ni. Suka g sini sebab selesa dan luas.